Government of Punjab through (PITB) in collaboration with Rozee.Pk initiates Punjab Job Fair 2014. For both employers and job seekers. Punjab Job Fair is a great way to make an impact as an employer, elevate your employer brand and also find premium resources for the positions in your organization. It is going to be an interactive platform for both the employers and job seekers, where the organizations are going to have direct contact with potential candidates. 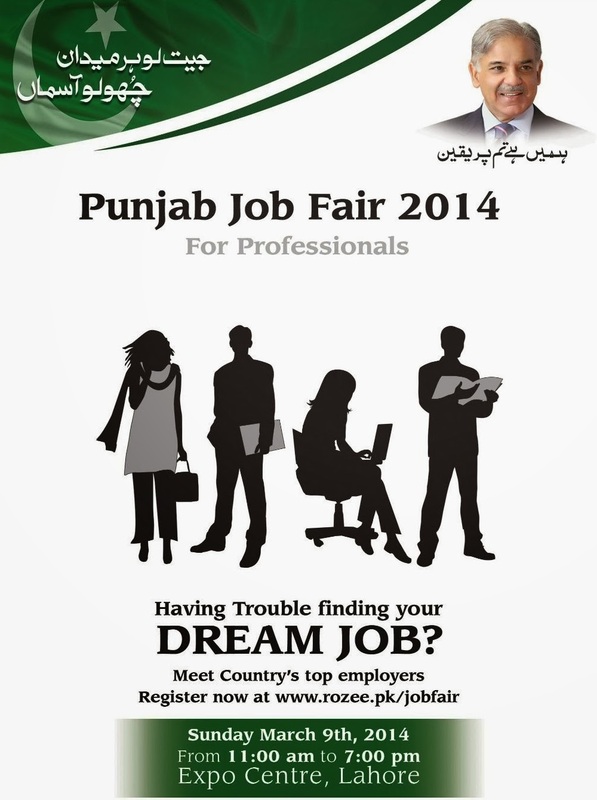 Punjab Job Fair 2014 is said to be Punjab's biggest job fair going to held on Sunday, March 9 2014 at Expo Center, Lahore. Employers and Job Seekers can register them on this link rozee.pk/jobfair/ to take part in the job fair. This is your answer. Punjab Job Fair is the easiest and the most cost-effective way to recruit. Being the largest Job Fair in Punjab to date, the event is expected to attract more than 50,000 candidates hailing from various universities & industries.